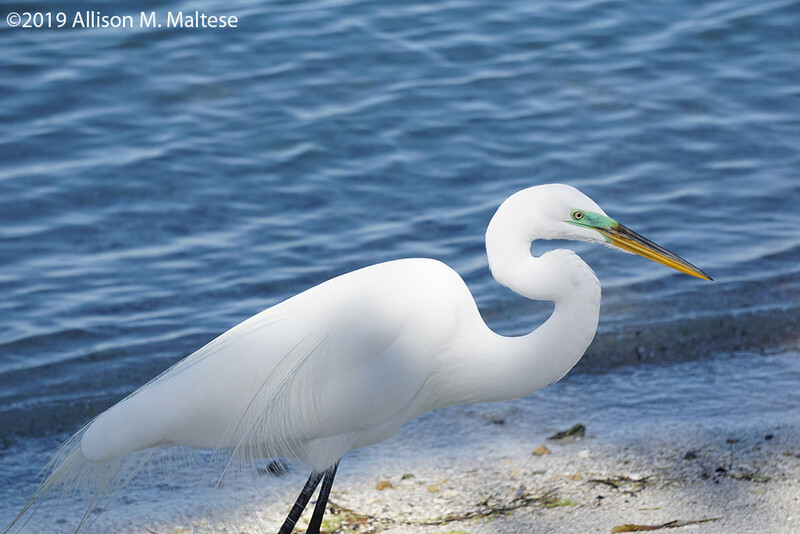 This great egret was looking for lunch along the shoreline at New Pass, but I wasn't sharing. He finally gave up and plucked a lizard out of a tree for his lunch. The silky feathers and green eye shadow are characteristic of male great egrets in the breeding season. Terrific shot - love the way you were able to get those silky feathers and the green around the eye. Both are so clear.